Janelle Hind, left, with her sister Giselle at St. Joseph Secondary School on Nov. 9, 2018. This story is part of Stepping Up, a series introducing Canadians to their country’s new sources of inspiration and leadership. By the second month of Grade 9, Janelle Hinds had breezed through 40 hours of volunteer work – the total number of hours Ontario students have to put in at some point over four years to graduate from high school. Ms. Hinds didn’t bother recording the hours: Volunteering was just the way it was done in her family. 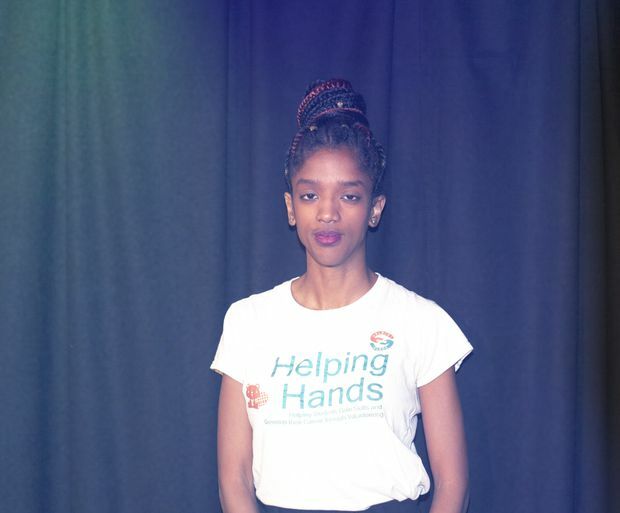 Watching other students at her Brampton, Ont., school, Ms. Hinds saw they were struggling to fulfill their own volunteer hours. She felt for them, so she started arranging group trips to local food banks so her peers could meet their volunteer requirements. As she spoke to these students, Ms. Hinds realized that Ontario’s academic exercise in goodwill was also highlighting a socio-economic divide. Disadvantaged students and those living in suburbs or small towns seemed to have a harder time finding the community activities their schools insisted upon. Some felt they didn’t have enough resources from their guidance counsellors. Others were new to the country and didn’t really know where to start. Janelle Hinds, who has a combined degree in electrical and biomedical engineering from McMaster University in Hamilton, Ont., has been hosting community outreach workshops, funded by the Ontario Trillium Foundation. Where some would see a barrier, Ms. Hinds saw a valuable niche. 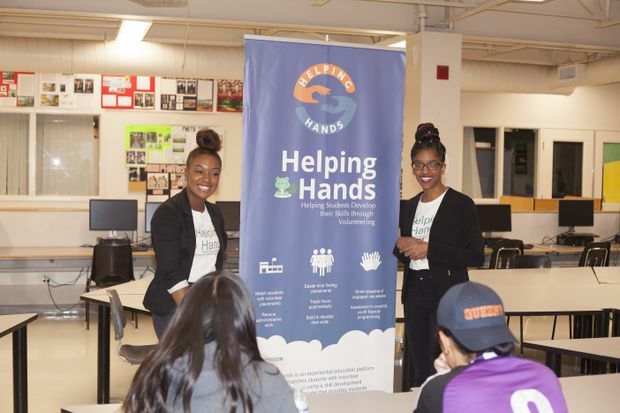 Today, the 26-year-old is the founder of Helping Hands, a groundbreaking mobile app that places students in the Greater Toronto Area with volunteer opportunities that actually engage them. Set to launch officially this winter, the youth civic engagement app helps students fulfill their graduation requirements and enrich their resumés, steering them toward promising fields they may have overlooked. Ms. Hinds’s hope is that schools will eventually offer Helping Hands as an online tool to assist guidance counsellors. 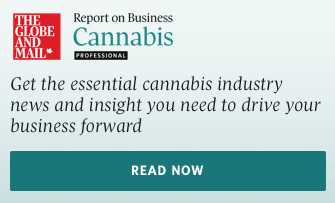 She plans on expanding the venture to all of Ontario in the coming years. As part of the initiative, Ms. Hinds, who has a combined degree in electrical and biomedical engineering from McMaster University in Hamilton, Ont., has been hosting community outreach workshops, funded by the Ontario Trillium Foundation. At high schools and job fairs, Ms. Hinds guides students to volunteer placements that cater to their interests and enhance their life skills. A student who’s considering art but also wants to improve the way she communicates might get placed as a tour guide with the Royal Ontario Museum, for example. 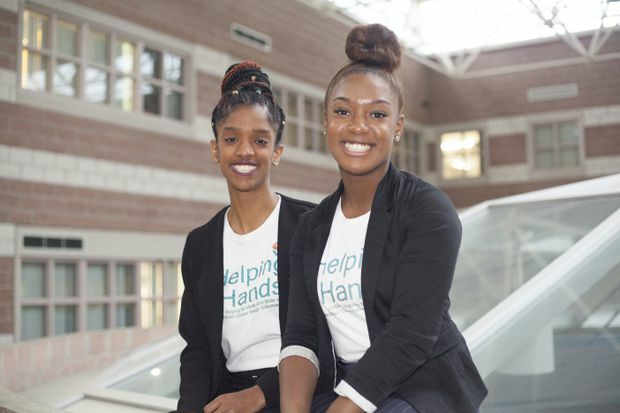 Ms. Hinds’s 17-year-old sister Giselle serves as Helping Hands’ communications director, helming the company’s social media platforms. As young girls, the sisters would stand on their beds and deliver make-believe speeches to an imaginary crowd, Giselle recalled. Today they speak together at their workshops. “Now we’re actually doing it,” Giselle said. Giselle, left, who serves as Helping Hands’ communications director, practices a presentation with her sister Janelle, at St Joseph Secondary School on Nov. 9, 2018. Ontario students are allowed to start their volunteer hours in the summer before Grade 9. When Giselle was at this juncture at the end of Grade 8, she noticed some students getting saddled with uninspiring work once they were placed. The sisters decided to elevate the experience. “[Volunteering] is something that students should get to really appreciate: what you can do in your community and how fulfilling it is,” Giselle said. The young women’s parents instilled the value of serving community through everyday acts. Their father, a courier, would buy and fix second-hand bicycles, then hand them out to neighbourhood kids. Their mother once spontaneously offered up their newly purchased patio furniture to a new family moving in. Ms. Hinds also remembers the times her mom would care for other women’s children when they had to go to work or a job interview. Ms. Hinds would later learn that some of these women were facing domestic violence. One of Ms. Hinds’ mentors is Juliet Daniel, a McMaster University biology professor who motivates young women to pursue careers in science and engineering. Before Helping Hands, Ms. Hinds designed two apps while studying at McMaster. One was an early-days “period tracker,” which allowed women to log their menstrual cycle. The other app made it easier for students to navigate the McMaster campus and mapped its accessibility. Ms. Hinds urges people who have been traditionally excluded from STEM – black women, Indigenous women and people with disabilities among them – to consider shaping its future. By pursuing work in technology, Ms. Hinds is now positioned to design initiatives that speak to her life. “We belong in tech," Ms. Hinds said. “If we want products that work for us, we have to do it."